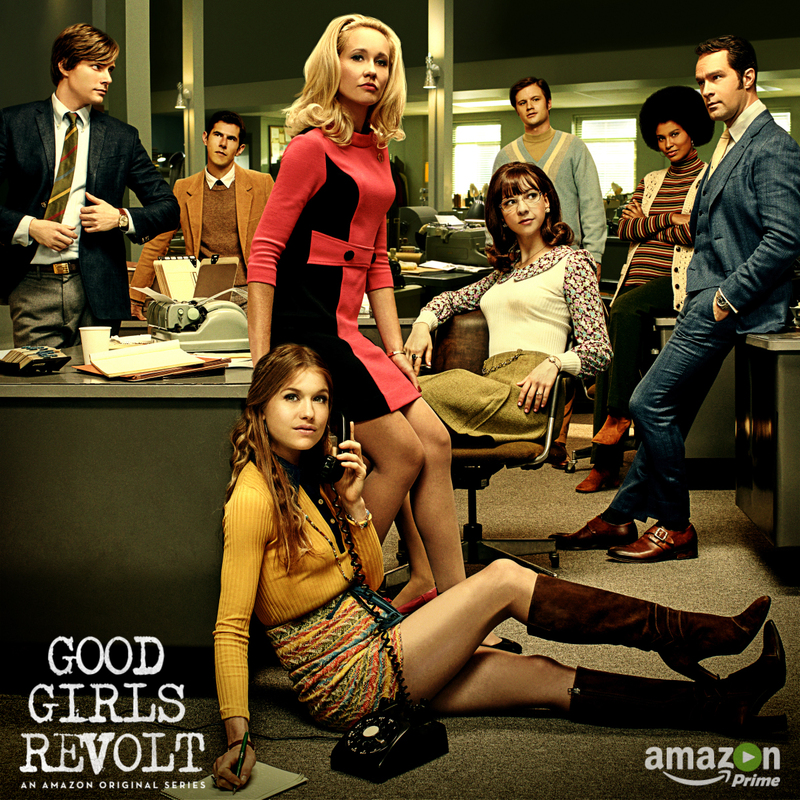 Good Girls Revolt is a TV show about female ‘researchers’ in the 70’s. The show is inspired by Lynn Povich’s book that detailed the discrimination and prejudice that she and other women experienced working at News of the Week. Povich and 45 of her female colleagues filed a lawsuit against News of the Week because of such discrimination. Women at News of the Week were refused the position of ‘reporter’ and instead given the title of ‘researcher’; meanwhile, men often used women’s work, but put their own names in the byline. Women at News of the Week did the same work of their male counterparts but did so without the pay or title. The television show takes creative liberties, with fictitious characters, but the circumstances were very much a reality. Lynn Povich started out as a secretary in the Paris Bureau of News of the Week, and later became a writer in New York. It is from there that the events of the show take place. Post-lawsuit, Lynn Povich became News of the Week’s first female senior editor. Even though it was not picked up for season two, the show received lots of positive feedback saying that it was impactful and representational of the time, including the recognition as one of the best shows of 2016 by Newsweek. The show stars Genevieve Angelson as Patricia Robinson, Anna Camp as Jane Hollander, and Erin Darke as Cindy Reston. You can stream all of season one on Amazon.